And here's the second round of posts on Food in Fantasy, from Chris Howard, Valjeanne Jeffers, Carole McDonnell and Theresa Crater. Enjoy! Let's talk about food in fantasy. We eat when we're depressed or lonely. We eat to celebrate holidays and rituals. Eating is a part of life just like seeking shelter and intimacy. And, though we often do it just for the fun of it, it's definitely listed in the category of things we must do to survive. Quite simply we eat to live. My favorite authors are the ones who manage to create men and women with the most human characteristics--men and women who enjoy roasting a yam over an open fire or sharing a pot of gumbo with a friend. These are the authors whose work I enjoy and the ones I take notes from to improve my own writing skills. Food, I've realized, is part of the mosaic of a character's life. Food in fantasy, in all fiction, is an extension of one's plot--an extension of what is driving the novel. To illustrate my point here are two excerpts from my first novel, Immortal. At exactly 8:00 he knocked on her door. This time, Karla had dressed more casually in jeans and a sleeveless shirt, trimmed to reveal her ebony midriff. She wore hoop earrings, and a silver chain was wrapped about her belly. Joseph was dressed in jean and boots, his hair hanging loose about his shoulders. One of her paintings drew Joseph’s eye: hanging on the wall beside the console, was an oil rendition of a dark woman: her eyes were closed and there was a look of rapture upon her face. An arm was wrapped about the neck of the Copper man standing behind her; his intertwined about her waist; his face bent towards hers. She’s got good taste. A tiny smile played about her lips. “I don’t drink either. I haven’t for years.” She put the wine back in the cold box, extracted two glasses of cold tea from her liquids machine, and placed them on the table. There was a knock at the door and she jumped. Get it together girl, that’s the twins. She walked into the living room, picked up her remote and pointed it at the entrance. It slid open and the eight-year-old twins, Carlos Jr. and Ashley, small and brown like their mother, ran inside. Ashley’s shoulder length braids were tied off with ribbons. When Karla and the twins’ mother had first become friends, Tatiana and Carlos were both working nights, and she’d offered to make breakfast for their children during the week. That was two years ago. Now Tatiana worked as a beautician, although her mate still worked evening shifts at the metal emporium. But fixing meals for the twins had become a habit Karla didn’t want to break. She was crazy about them, and Topaz’s food prices were next to nothing. In these two very different passages food is one of the metaphors used to bring my characters together on a very basic and ultimately human level. And are our characters not human? If we prick them do they not bleed upon the printed page? So why shouldn't they eat? Why shouldn't they come together to celebrate life, to work out their problems, to enjoy each others' company? Indeed they must for the story to become real. For food, in life, brings us together for so many reasons. And art, real art, imitates life. Valjeanne is a knight in the Traveling Round Table of Bloggers. She is also a graduate of Spelman College, NCCU and a member of the Carolina African American Writers' Collective. She has been published under both Valjeanne Jeffers and Valjeanne Jeffers-Thompson. Her writing has appeared in: The Obamas: Portrait of America's New First Family, from the Editors of Essence, The Ringing Ear: Black Poets Lean South, Pembroke Magazine, Revelry, Drumvoices Revue 20th Anniversary, and Liberated Muse: How I Freed My Soul Vol. I. 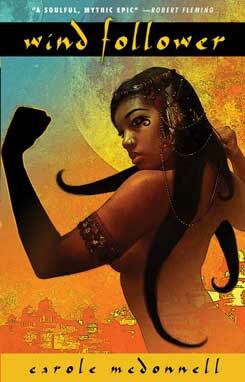 She was also semi-finalist for the 2007 Rita Dove Poetry Award. 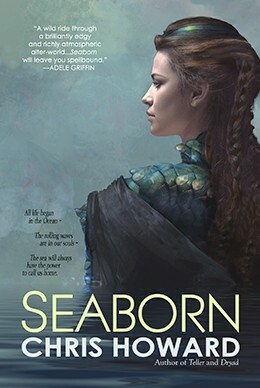 Valjeanne's fiction has appeared in Genesis: An Anthology of Black Science Fiction, Griots: A Sword and Soul Anthology, LuneWing, PurpleMag, Genesis Science Fiction Magazine, Pembroke Magazine, Possibilities, 31 Days of Steamy Mocha, Griots II: Sisters of the Spear (in press), and Steamfunk! (in press). She works as an editor for Mocha Memoirs Press and is also co-owner of Q & V Affordable editing. Foods in fantasy novels are as varied as they are in real life. As a lover of food and food blogs, Youtube cooking channels, discovery channel and travel channel food programs, I find the eating culture of different fantastical tribes very important as a way of showing cultural and religious beliefs, especially the connection of those beliefs with hospitality toward strangers, gratitude toward the gods, and the passage of time. Wind Follower benefitted from my love of anthropology and from my living in New York. In Wind Follower, I created four tribes that lived in a common cultural setting. In many ways, they were like the cosmopolitan New York area I live in -- many people sharing some aspects of the culture while preserving their own unique cultures with characters' wealth or committment to their religion being the factors that affected their eating habits. But there were sexual taboo food issues in Wind Follower, and women were not allowed to touch or eat certain foods at "that time" of the month. In addition, some foods implied certain spiritual doctrines. Therefore to touch those foods implied challenging the doctrines. In my story, "Lingua Franca," the eating of certain foods -- or more specifically, the eating of flesh or the cutting of flesh with a tool-- is the crux of the story. In that story, the main character challenged her husband on his changing the "letter" of the law in order to do what the foreigners want. In The Constant Tower, my upcoming novel, different tribes eat different foods but the problem is not a big one. Carole McDonnell is a writer of ethnic fiction, speculative fiction, and Christian fiction. Her works have appeared in many anthologies and at various online sites. Her novel, Wind Follower, was published by Wildeside Books. Her forthcoming novel is called The Constant Tower. 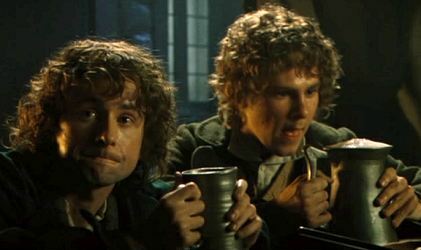 “But what about second breakfast?” Pippin asks on the first day of the quest outside Bree. Although agent Donald Maas recommends cutting scenes with dining, food helps create character. In Tolkien, it also indicates moral standing. Elven bread is loved by those who are upstanding and moral, but the corrupt Gollum can’t abide it. In many fantasies, food is initiatory. Alice eats magic mushrooms and must drink potions to make her bigger or smaller. 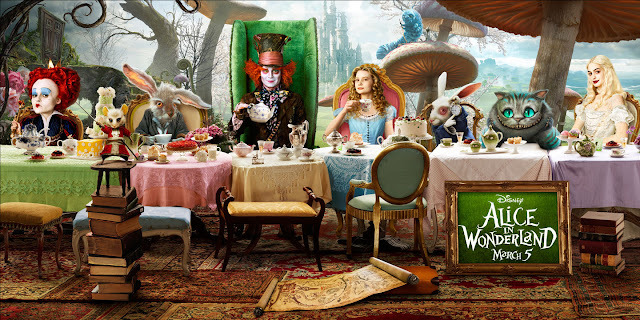 The Mad Hatter’s tea party is a festive bunch of silliness, but also a place where Alice gains information about this new world. And allies. And there’s food in dark fantasy—forbidden food. Vampires drink blood, and to become a vampire involves the exchange of blood between human and vampire. Of all the marvelous meals and cooking I’ve read in fantasy, I still give first prize to Tolkien. After all, he was a hobbit in all but size.